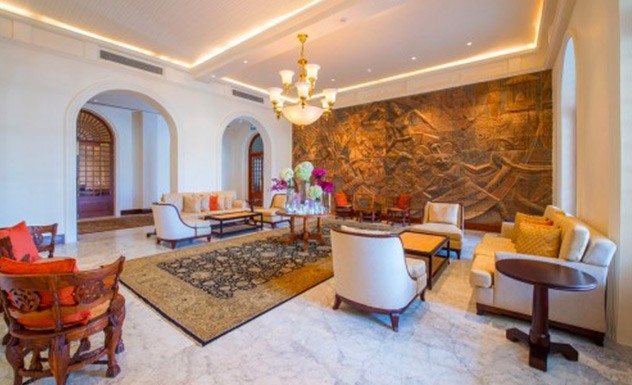 In the newly refurbished southern wing of Colombo’s historic Galle Face Hotel, guests can enjoy superior levels of comfort whilst revelling in the elegant and sophisticated ambience of a bygone era. 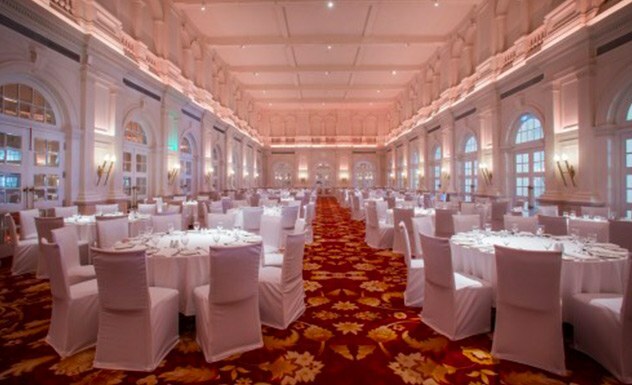 While every suite has been lavishly decorated and the public areas elegantly and contemporarily designed the hotel still evokes a colonial feel reminiscent of its Victorian birth where high ceilings, polished wood flooring, stately corridors and grand teak stairways predominate. 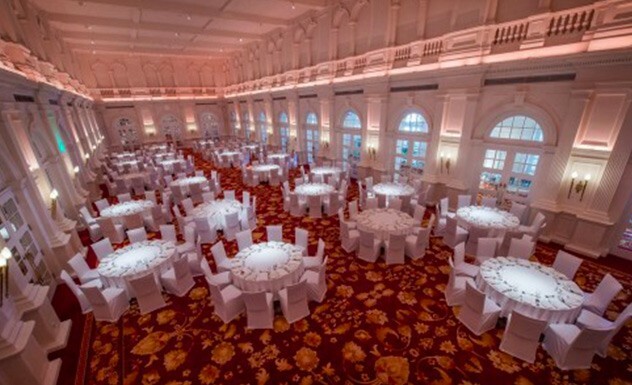 Its position at the foot of the Galle Face Green’s verdant promenade, beside the swaying surf of the Indian Ocean and close to all of the city’s main attractions have given it an unrivalled location in the capital since its establishment in 1864. Guestrooms are spacious and luxuriously appointed with contemporary furnishings, majestic en-suite bathrooms and all the mod cons to ensure that you benefit from plenty of tranquillity and comfort for the perfect night’s sleep. Every Oceanic Suite has stunning sea views and balconies from which to enjoy them, some of which are fitted with jacuzzis for that extra touch of exclusivity. And, since all of the balconies are west-facing, it’s the perfect excuse to pop open a bottle of bubbly and revel in a spectacularly romantic rose tinted sunset whilst taking the opportunity to completely unwind. 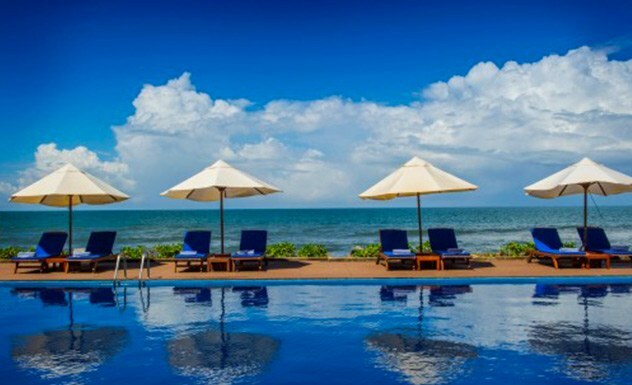 A beautifully sited saltwater swimming pool takes pride of place at the front of the hotel and is perfect for passing the hours soaking up the sun and counting the ships on the horizon when you have had enough of visiting the city’s attractions. A fantastic spa featuring a delicious range of international treatments is another way to fill the hours as is reading a book on the checkerboard terrace. 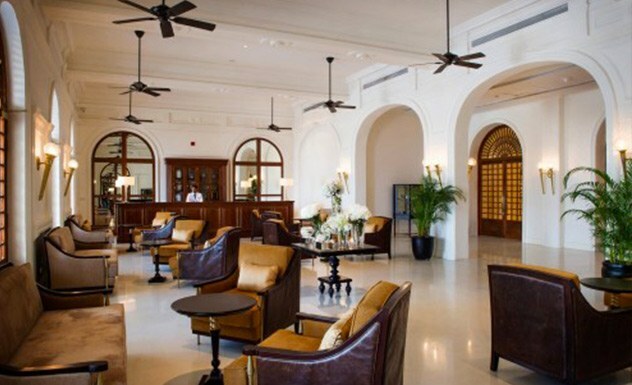 The Galle Face Hotel has a wide range of eateries including Sea Spray, the Verandah and the fine dining 1864 as well as a couple of atmospheric places to hang out with a stiff drink, relax and evoke thoughts of yesteryear. These super spacious suites directly overlook the sea and feature a Jacuzzi either inside the room or on the balcony overlooking the spectacular panorama of the ocean. Overlooking the patio and with a view of the ocean, these deluxe rooms offer every contemporary comfort. Learn how to cook like a Sri Lankan with a no-fuss approach that allows you to whip a range of well-loved local dishes thanks to your helpful host. 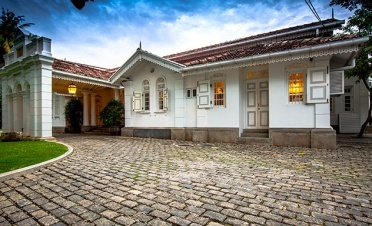 Guided by a knowledgeable and engaging host, discover some of the works of iconic architect Geoffrey Bawa and explore the life he led in Colombo. Explore Colombo’s cultural diversity with a host as he takes you to a variety of religious sites in the city which has shaped the island’s identity. 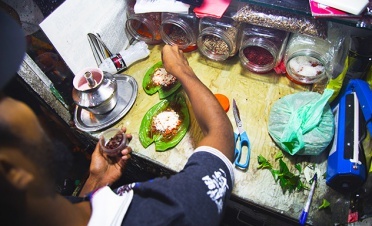 Explore the busy streets of Colombo and try out a range of street-eats unique to the different communities that live in this part of island. 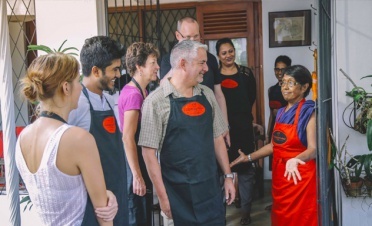 Savor the flavors of Jaffna cuisine and learn about Maniumpathy, the setting of this experience which reflects the northern peninsula’s heritage. 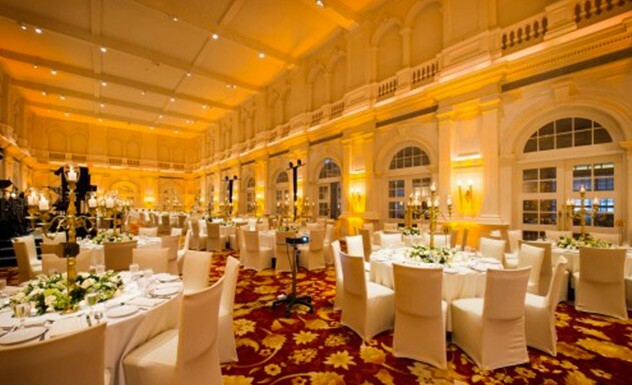 The Galle Face Hotel offers many opportunities for a range of dining experiences. 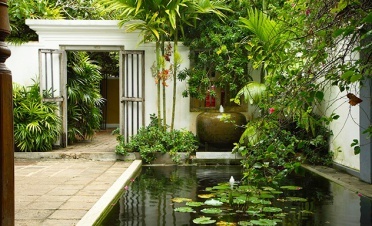 Wake up to wonderful buffet breakfasts featuring American, Continental and Sri Lankan cuisine on the ocean-facing Verandah as the sun begins to brighten the lawn, or as it starts its descent into the ocean tuck into delicious high teas where waffles, sandwiches, scones, cookies and pastries are delicately assembled in a tempting display to accompany the finest Ceylon teas. 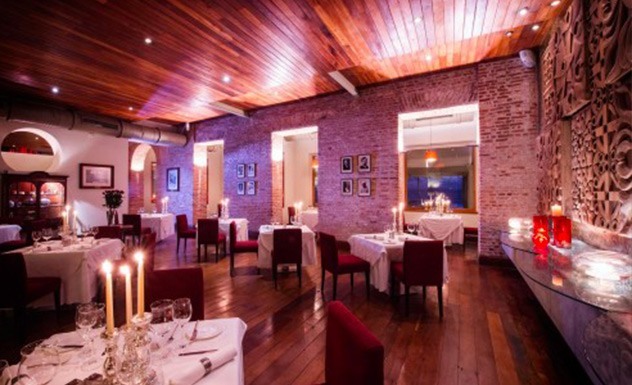 For dinner, guests can choose from the Verandah’s delicious Oriental and Western a la carte menu or visit the Sea Spray seafood restaurant which serves up fantastic cuisine just inches from the swaying ocean. 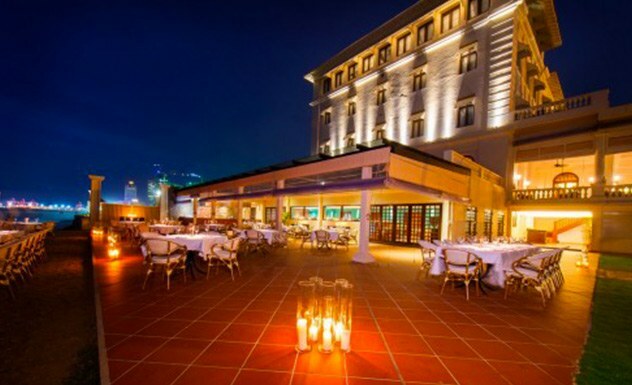 The 1864 is the hotel’s fine dining restaurant where its luxurious interior sedately pays tribute to the hotel’s grand history whilst at the same time exhibiting an innovative menu of fusion cuisine influenced by the flavours of Asia. 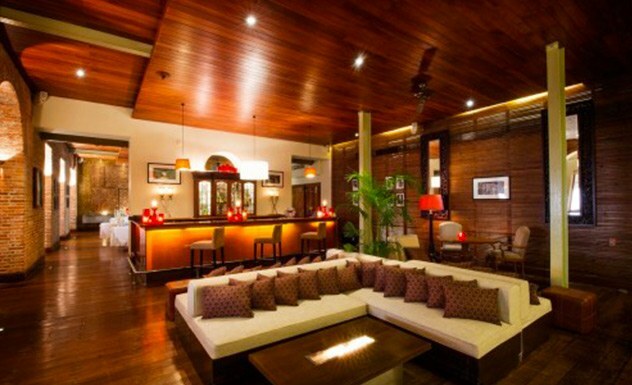 The Checkerboard is the ideal place to be at sunset for a cool cocktail or an icy beer as the sky becomes richly carpeted with a rose blush while the teak panelled Wine Lounge with its underground wine cellar full of fine vintages offers the perfect lifestyle experience for lovers of wine, cheese and cigars. A good choice for families is the interconnecting Oceanic Suite and deluxe room. 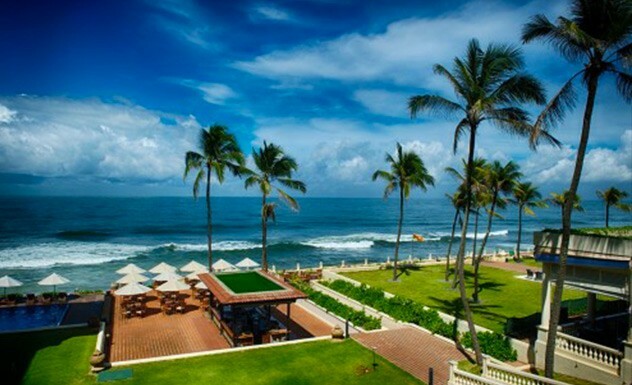 There are many things for children to enjoy in Colombo including pedallo-ing on Beira Lake; visiting the Gangaramaya temple and learning about Buddhism as well as meeting the elephant and feeding him a snack; flying kites and playing cricket on the Galle Face Green and playing on the beach in Mount Lavinia.